The Yukon Native Language Centre is administered by the Council of Yukon First Nations with funds provided by the Government of Yukon. It is a training and research facility providing a wide range of linguistic and educational services to Yukon First Nations and to the general public. It is located at Yukon College, Ayamdigut Campus, in Whitehorse. The Yukon Native Language Centre looks to the elders and recognizes their essential contributions from each language group to provide vision, wisdom, and guidance which inform and direct all of their activities. They strive to work in partnerships with First Nations communities and individuals to provide training, research, and program support. A major goal of the Yukon Native Language Centre is to assist the First Nations in implementing their self-determined goals for preserving and enhancing their ancestral languages. 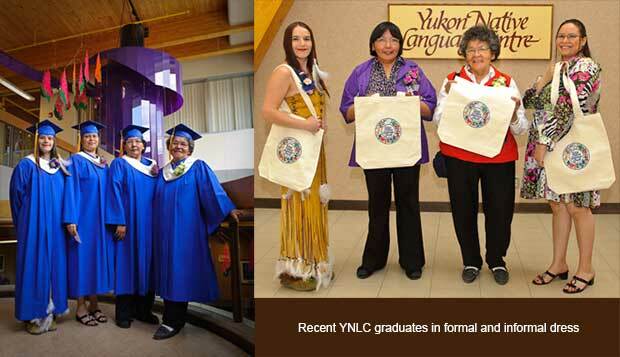 For more information visit the Yukon Native Language Centre web site at http://www.ynlc.ca.